While finding a cat sitter may be considered as an easy way out, a lot of people simply can’t bear the thought of either separating from their beloved cat for a prolonged period of time or simply leaving them behind. This is why some eventually opt for traveling with their pet. 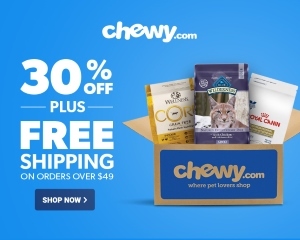 Not only will this provide you with a completely new traveling experience but also create some strong memories that could further deepen the bond between you and your cat. Unfortunately, bringing your pet along may completely change the way in which you travel, seeing as how you have to figure out the way to keep them calm during the commute and carry them about. Moreover, you must now check all the places you planned for your itinerary to try and figure out which of them allows pets and exclude all the rest from the list. Needless to say, these are just the tip of the iceberg of all the new factors that will further complicate your trip. Still, where there’s a will there is always a way and here are a few tips which may help make this idea much more compelling. Before you head out on the trip, you need to make sure your cat is perfectly healthy. Think about it, if your health was compromised in any way it wouldn’t be smart to embark on a difficult and lengthy voyage, so why would anything else hold true for your beloved pet? Make sure that they have all their vaccinations as well, particularly because some of the tropical locations may expose them to diseases and parasites which are completely absent from your region. Finally, it might be a good idea to take your cat’s medical record (even if it is in form of an email) so that you can present it to a vet at your target destination, should the emergency arise. In other words, the health of your cat needs to be your number one priority. Another thing you need to think of is the comfort of your cat during the voyage and this particular aspect can greatly be determined by the quality of your cat carrier. Look at it this way, no matter what means of commute you choose, your pet will be confined to the carrier for most of the trip. This is why you need to ensure that the carrier has enough space and that the stuffing provides enough comfort. 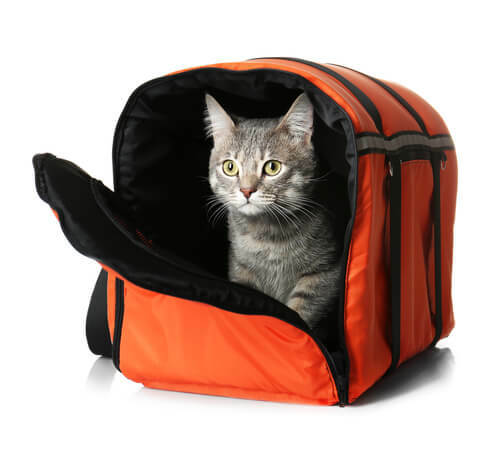 Finally, the durability of a large and comfy cat carrier suitable for travel is something that a lot of people fail to check beforehand and this is something you need to pay special attention to. Now, one of the toughest problems you might encounter here is getting your cat to actually want to stay in the carrier. This, however, takes a lot of work. First of all, you need to remember that your cat is mimicking you in many ways, so if you are worried that they won’t like spending time in the carrier, they might start emulating some of this behavior. Next, you need to keep it in cat’s sight at all times. By watching it day in and out, your cat will get accustomed to the sight of it and will no longer see is as something frightening or threatening in any way. In the introduction, we hinted that traveling with cat takes a lot more planning than going on a trip on your own. The first thing you want to do is check with the airline what is their policy regarding pets on the plane (provided that this is the method of travel you have chosen). Needless to say, you want your pet next to you so that you can calm them with your presence (provided you aren’t terrified of flying yourself). After this is over and done with, you might want to take a closer inspection of your lodging options. Make sure to check and double-check if the hotel you are going to stay in is pet-friendly. Depending on the budget of your little expedition you can set your standards in one of two ways. You can either choose hotels which offer different kinds of pet commodities or you can just go with those who allow pets. 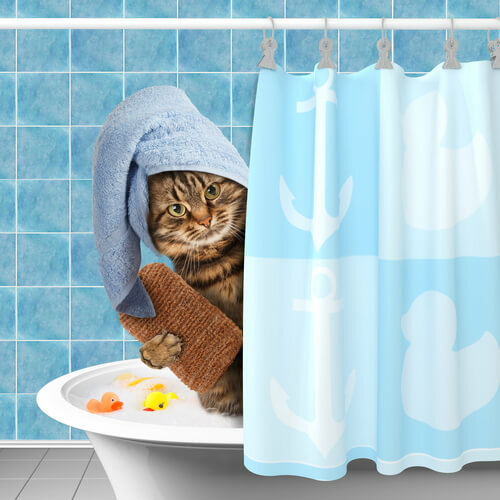 Furthermore, you might also want to check whether the region you are visiting features cat boarding facilities like Cooltre Pet Motel, which can make your life so much easier. 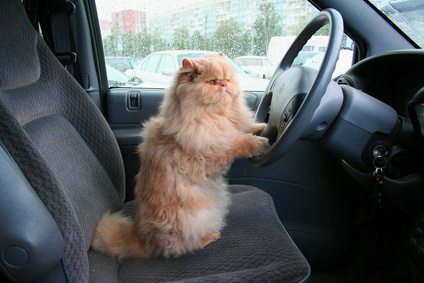 Another important issue you need to address is getting your cat accustomed to car rides. Regardless if you plan to take your pet on a road trip or simply rent a car at your target destination, your cat needs to learn how to behave in this environment. The best thing to do this is to start taking things as gradually as possible. For instance, you want to take your pet for a few rides around the city before you actually commit to hours (even days) long ride. One more important issue of this commute that deserves your attention is the issue of the temperature inside of your car. The general rule of the thumb is to keep the air conditioning just a bit colder than you would usually set it to. Finally, you need to make sure to honor the basic cat owner etiquette and clean up after your cat. Sure, you may have your hands full as it is but keeps in mind that the impression you make may reflect on the next cat owner who comes to visit. Show some solidarity! After all, it really doesn’t take much time and to someone else, it could make all the difference. By adhering to these five tips alone, you can make your overall traveling-with-a-cat experience much more pleasurable for everyone. Through it, your cat will get to experience something completely different, you won’t have to separate from your beloved kitty and the people you interact with might get a completely new opinion on people who travel with their cats. Think of it as being a lifestyle ambassador. You and your kitty conquering the world one step at the time.